Just wanted to say that Granite is so nice I bought it twice. Keep up the good work man. I’m excited to see them in person! I have the pro modifiers for Granite and the muted alphas really make those suckers pop. Thanks Matt! Really appreciated your comment. I’m still thinking of a nice special kit to release in the coming months (something along the lines of the Elven kit). Are these here to stay? possibly, yes. But SP is always overbooked, so you may expect 4-6 months before they are available again. Matt3o, looking at the HC bonus pack shown on PMK and am trying to figure out what the deal is with the F1-F4 & F9-F12 keys included in that pack. They look the same as the respective F keys included in the common set. On the regular (non-HC) granite set the bonus pack included F keys in the opposite color as was included in the regular granite common set. Is this a mistake on PMK’s part when they took the photo or is the intent to actually provide the same color keys in both kits? I guess I was expecting the F keys in the bonus pack to be the dark keys. yes, unfortunately that was a Signature Plastic mistake in producing the keys. What is the keyboard used in the pictures? Really wish I would have seen this in time. I’ve been in love with Granite since the first time I saw it. However recently I got into the more neutral colour schemes. So HC Granite is perfect to me. But I was a month late. Any speculations of rumors of considerations of a rerun? I mean, I can get the modifiers and kits that are available now, but if I don’t get the chance to buy the base kit that would be a shame. I’d like to ask if you are in any way involved in the process of SP selecting Granite to do an ALPS/Matias compatible run? If you are, is there any chance you could shed some light on a possible HC Granite ALPS/Matias variant? well that totally depends on the popularity of the standard APLS Granite version! I have been having numerous problems with the order of this set from day 1. I had a blotch on my numerical key in addition to a warped letter key. I recently ordered a modifier set only to find out that they gave me the granite keyset instead of the HC granite keyset. This is making me a little hesitant to buy from Signature Plastics again. Is there any way of reaching a representative and fixing the issue besides emailing them Matt3o? Thanks! they make quite few mistakes, I give you that, but they usually are very supportive and help you sort out any issue. Contact them directly via email! Dose this mean a GrayFox keyboard may be in the future? I can dream lol. I’ve been waiting for a new HC Granite round for a long time. I saw on PMK that they will be available by the end of May. Any more info about that? Thanks! hey Luke, thanks for your interest, but there’s no way to get DSA retro anymore. It is a pity :( !! 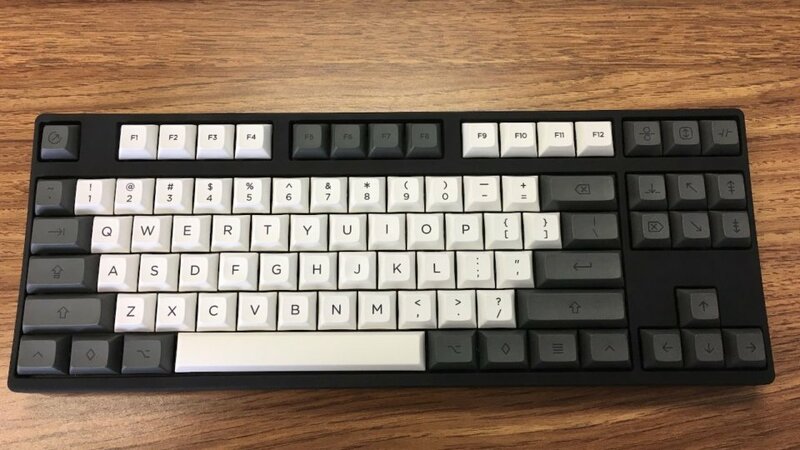 But I noticed that DSA “DOLCH” (92 keys) is availabe. I am a rookie in this world. 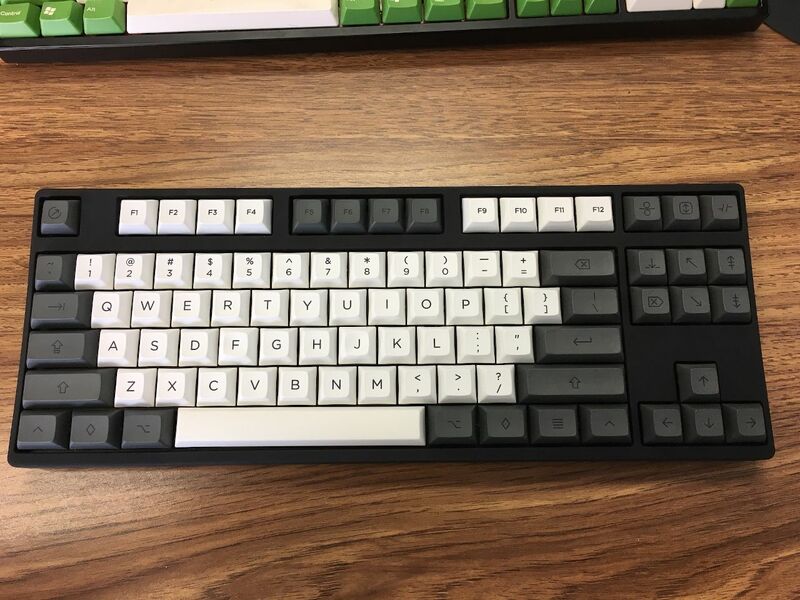 Could I kindly ask If it is possible to assemble this set with a WASD V2 87-Key Barebones (I mean if they are compliance each other). I love DSA because of its vintage style keys shape. But, please, let me know if there are other competitor with similar products :) !! that is terrible, Mark! I wish I could help you but SignaturePlastics is the one to contact for this kind of issues. I might check if I have one spare but I hardly believe so. Email me directly please.